One of the most famous and oldest cloth pads brand in India has been Ecofemme. Its a brand based out of Auroville, Pondicherry, close to Chennai. 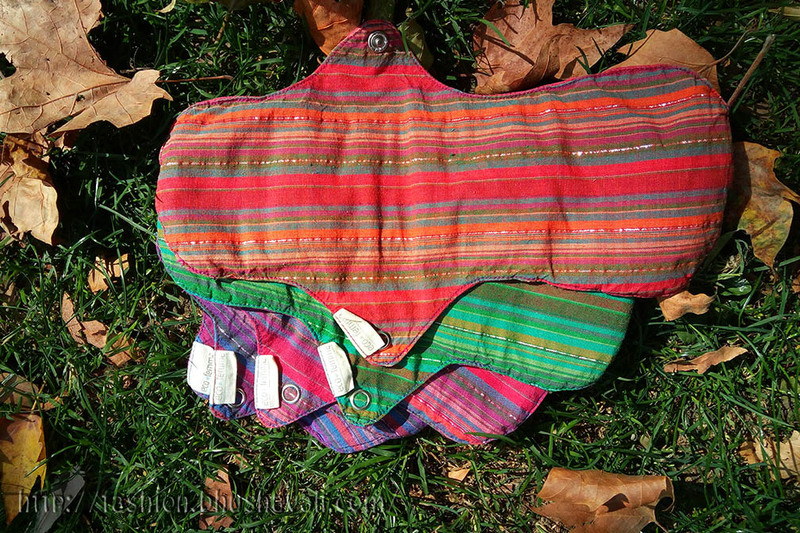 Founded by Kathy & Jessamijn in 2010, the idea was to re-invent cloth pads and make it as easy to handle as disposables. Another major value addition to their endeavour came in the form of educating the adolescent girls on menstruation, garbage and cloth pads! Ofcourse there was the basic idea to provide employment to the local women who stitch the pads and earn their livelihood through tailoring. I've been using Ecofemme's pads since the last couple of months. They have 2 ranges - organic (white), and vibrant. I obviously chose vibrant. The idea of product range is also simple. Every size and type comes with its own color. The organic range also has simple printed back fabric of different colors for each size. The vibrant, has both back and top fabrics in different colors for each type. There are 4 main sizes in both ranges - Pantyliner (with & without PUL backing), Day Pad, Day Pad Plus, Night Pad. The vibrant range has one more unique product called Foldable Pad. There is only 1 button, so the width variation cannot be done. The buttons are nickel buttons which is better than the more commonly seen plastic ones. The Pantyliner is the smallest pad I've ever seen! Its tiny and thin and you will definitely forget that you wore it! Serves the purpose... 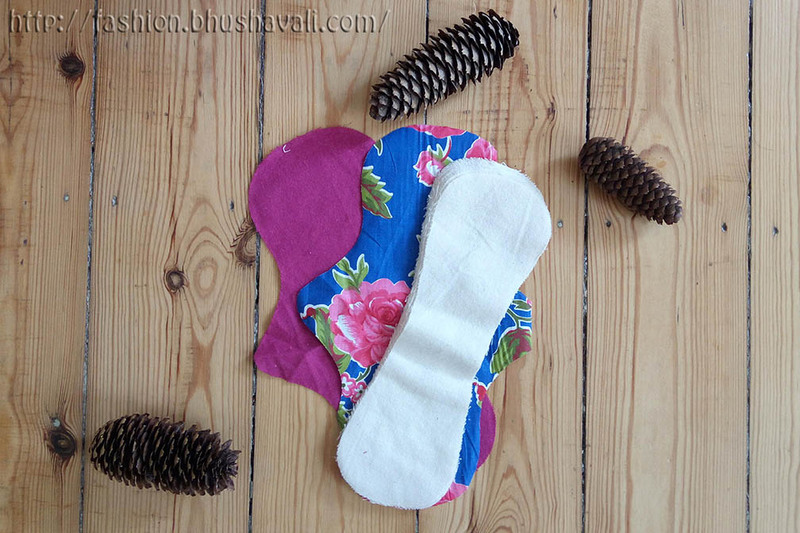 The Day Pad is slightly better than pantyliner and lasted for 3-4 hours of a light flow day. The Day Plus Pad is good for 3-4 hours on a heavy flow day. The magic lies in the Night Pad and Foldable Pad. They are so good. At 26-30cm the presence of the pad can be felt. It isn't very thin either. But they both last overnight (8-10 hrs) very well on a medium flow day. For me, that's what is needed for day time as well. I'd anyday choose the Foldable Pad. Its folds 4 times, making the pad 8 layered. Let to dry indoors, on a sunny day (European sunny not Indian sunny), it dried completely in 8-10 hrs. That's what I need. If you're in a relatively non-sunny region, this Foldable pad is the best cloth pad to use. 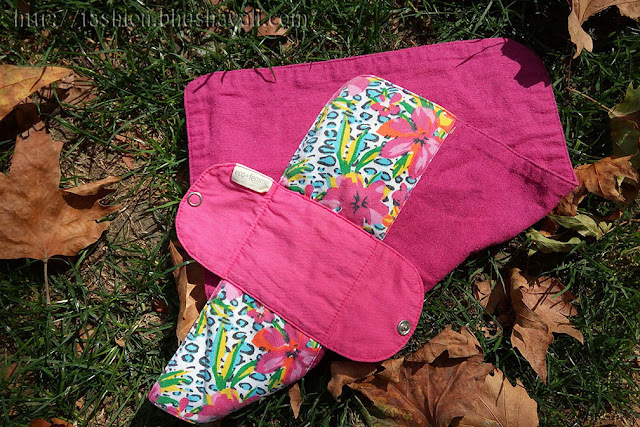 Another innovative product of Ecofemme is the Make Your Own Pad which contains a pack of 8 layers of cotton, 1 flannel, and 1 PUL fabric cut up in the shape of a pad. Its a great idea for DIY fans and people with some time in hand. Once you get an idea of how the fabrics are and how to do it, you just won't have to buy a pad ever again. The top cloth is flannel in all types, and doesn't feel wet, but doesn't feel very dry as well. The pads do not hold stains. Ofcourse the other plus points of any cloth pad is applicable as well - It doesn't itch, no rashes, it feels soft against the skin. 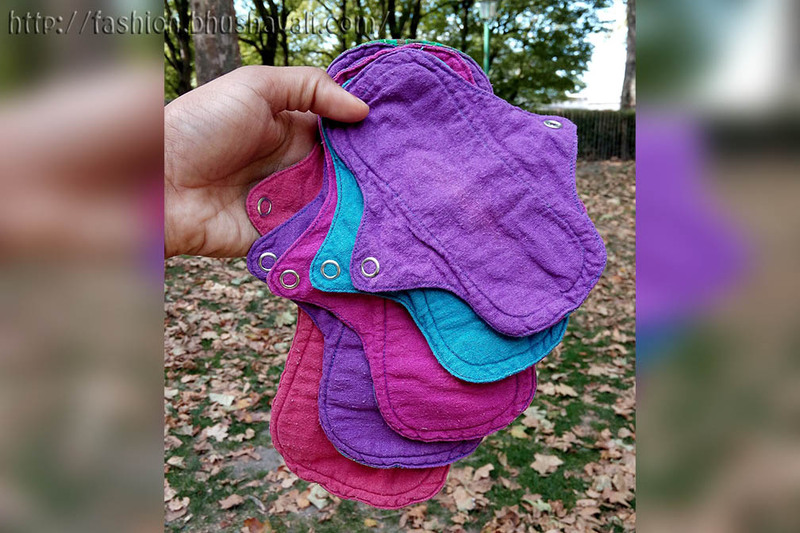 The best thing about Ecofemme is the Pad for Pad initiative. Its the project to enable buyers to gift one pad to a local, economically challenged girl child at a small extra cost. P.S: The products were sent at a discounted price by the brand for reviewing purpose, however the opinions are of my own experience and are this post does not to advertise the products. Thee pads are so adorable and sustainable. How long can you use it? I haven't tried a cloth pads. I have heard about cloth pads but never bought them because I was concerned about the smell and hygiene factor.